Another Christmas gag (and modified art) courtesy of my friend Mike Pascale. Thanks, Mike! Artist Unknown. 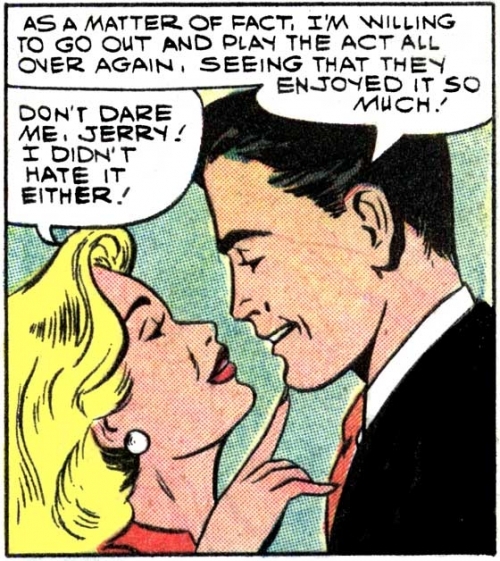 From the story “Bachelor’s Farewell” in FIRST KISS #7, 1959. CAUCASIAN WOMAN (talking to an African American Santa Claus): I’m not dreaming of a…white Christmas! Looks like Jerry and his Aunt are going to share some eggnog later.